In addition to mountain, cycling and water sports, there are a many other sporting highlights that make the Zell am See-Kaprun region a real active hotspot. The region used to be called "Europe Sports Region". The name is gone but the many sports facilities, providing activity and action on a holiday in summer and in winter, have remained. You are interested in challenging running training and trail running in an amazing mountain world? Then put your trail running shoes on, get going on the most beautiful forest paths and hiking trails in our region and keep on running on your summer holiday. If you like to combine the three most beautiful sports in the world, then you must be a triathlete and surely can't wait to travel to a holiday region just made for this endurance sport. "Here we go" - Lake, mountains and a stunning landscape provide excellent conditions for challenging swimming, cycling and running sport. A pair of running shoes, functional sportswear and some motivation and off you go. Easy running routes in the valley, through forests or around Lake Zell are great for warm-up. Challenging high altitude trails and promenades in average altitude show you how important training for running fun is. It doesn't matter where to, for how long and how far you run as long as you enjoy trail running. "Keep on running and don't stop moving in Zell am See-Kaprun ..."
Anyone who wants to join the league of total multi-sportsmen and women should take up triathlon. 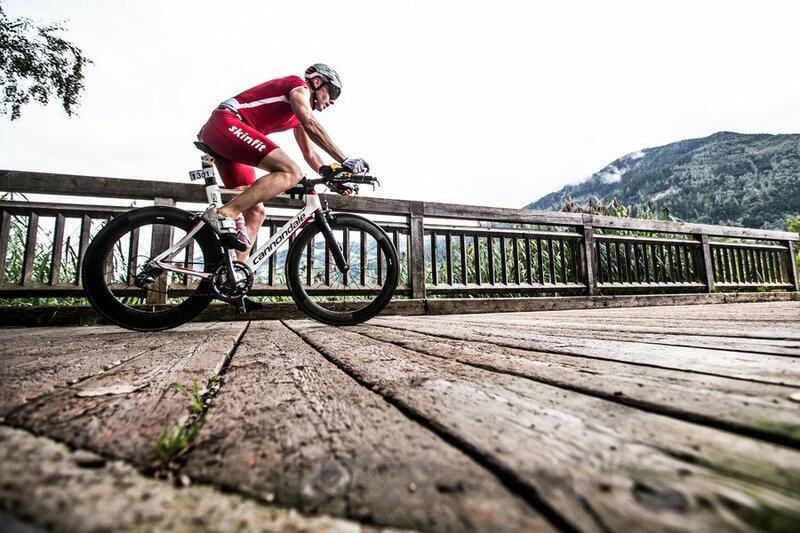 Zell am See has realised this and has become an internationally known triathlon hotspot. 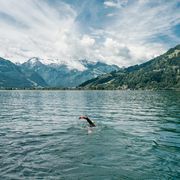 This seems natural given Lake Zell with its pleasantly warm waters of drinking water quality is the best swim training location you possibly could find. The cycling routes not only delight with sporty and challenging mountain ascents but also provide you with views across a remarkable, beautiful scenery. The running routes along the lake warm you up and keep your heart rate on course to excellent training results. The Ironman 70.3 competition, which is staged in Zell am See-Kaprun every summer, proves that this is an excellent event region - just what triathletes are looking for. 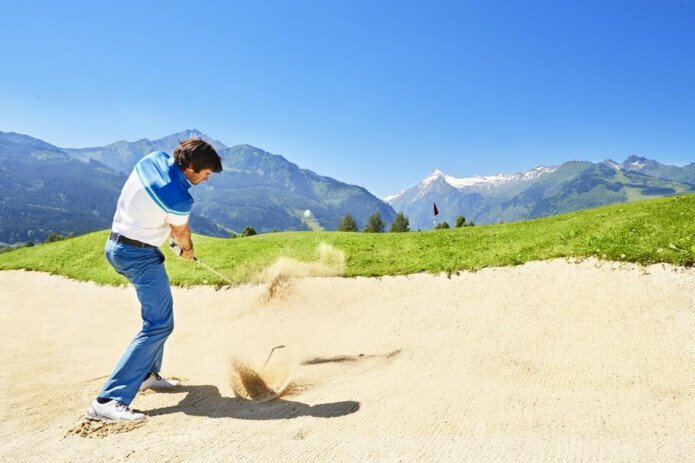 The two golf courses of the Zell am See Golf Club are named Schmittenhöhe and Kitzsteinhorn. Just like the two characterising mountains, which you will see when you swing your clubs in the valley. The fairways are challenging. However, the Golfacademy Evan Teplitsky provides the foundation for a long career in golf. Golf can also be played on the mountains here. The Schmittenhöhe offers Disc Golf - a combination of golf and Frisbee. A great idea for entire families and a sport where fun and skills are equally important.